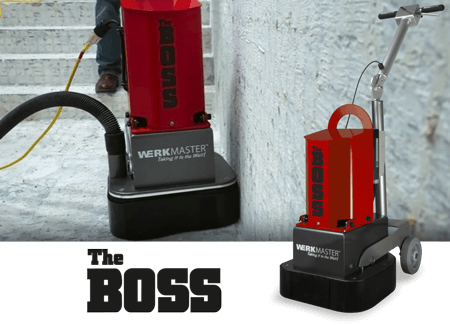 WerkMaster Machines are 7 Machines in 1 – Grinder, stripper, sander, buffer, burnisher, polisher and edger. Effectively remove thin set, epoxy, glue, paint, mastic, and micro toppings. 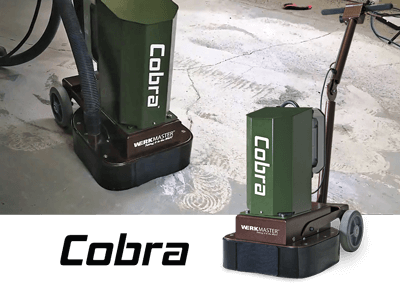 Runs wet or dry on concrete, stone, hardwood, terrazzo or VCT tile. Up to 40% of all jobs require edging – a huge labor cost. 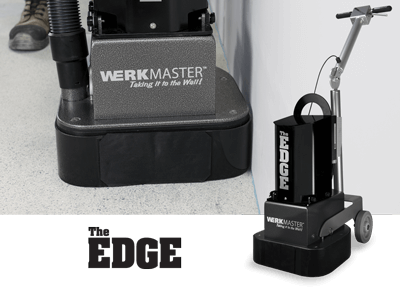 When a concrete floor requires polishing, nothing outshines a WerkMaster.™ Our ULTRA-FLEX Plug ‘N Go technology combined with our advanced concrete polishing tool design delivers uncompromising results faster and easier than any planetary grinder. 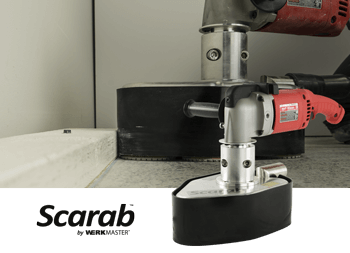 WerkMaster™ diamond abrasives deliver deep, crisp, clear mirror finishes on concrete and terrazzo floors that are the hallmark of WerkMaster™. Why is WerkMaster so unique? WerkMaster’s variable frequency drive (VFD) allows you to dial in your perfect sweet spot from 450 rpm all the way up to 2100 rpm for optimum performance and productivity no matter the concrete hardness or the coating on the floor. It is advisable to always test for hardness using our MOHS hardness test kit. An additional advantage of our unique variable frequency drive is that you can run the Viper XT on 220V or 110V power using a Quick 220 voltage converter. 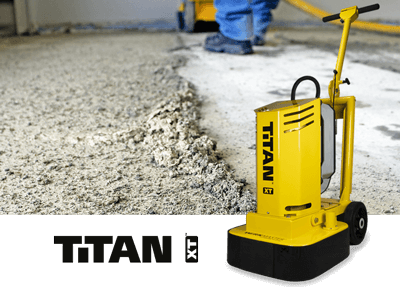 The Raptor XT and Titan XT can run on both 220V single phase or 230V 3 phase. The VFD drive automatically senses the power you are plugged into, very helpful in residential and commercial applications. 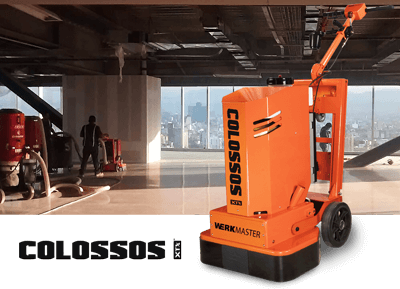 The Colossos XT has a proprietary design allowing you to plug into either 230V 3 phase or 460V 3 phase in North America. For our European customers, the Scarab, Viper XT and Raptor XT can plug directly into residential or commercial electrical outlets. 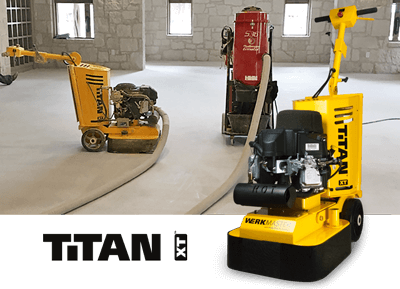 The Titan XT and Colossos XT are available as 380V 3 phase machines. 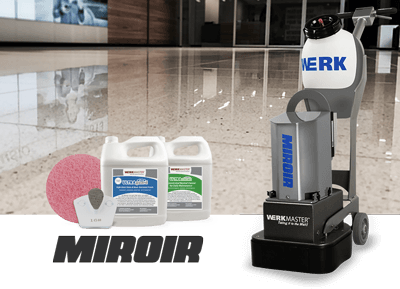 Want to protect that beautiful polished concrete floor from oil, brake fluid, antifreeze, phosphoric acid, wine, vinegar, mustard, coffee, pop, battery acid, and other caustic materials for up to 24 hours? Make sure to ask about our complete line of ULTRAguard concrete sealers and ULTRAhard concrete densifiers. 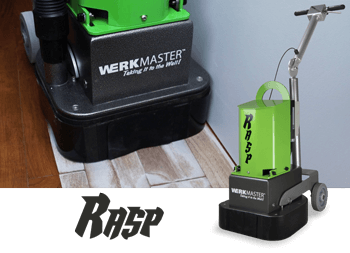 Enhance the protection and shine as well as maintain your floors with the most advanced, safest Propane Burnisher in the market. From our 21” to 28” high speed Propane Burnishers, our propane buffers feature the lowest maintenance and highest safety features utilizing our ClearSKY Technology exceeding EPA and OSHA safety standards. 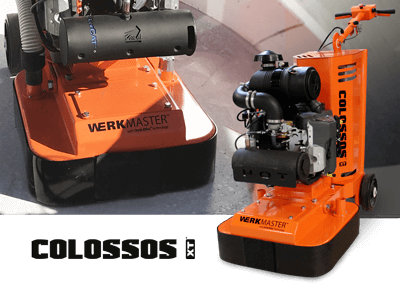 And not only are WerkMaster™ concrete floor preparation and concrete floor polishing equipment the best built in the industry, as all components are manufactured in North America to rigid standards, but we are also the only concrete machine offering a 3 Year Parts & One Year Labor Warranty. Call today Toll Free 1-866-373-WERK or 1-604-629-8700 and we will be happy to assist you in finding the right solution for your needs.